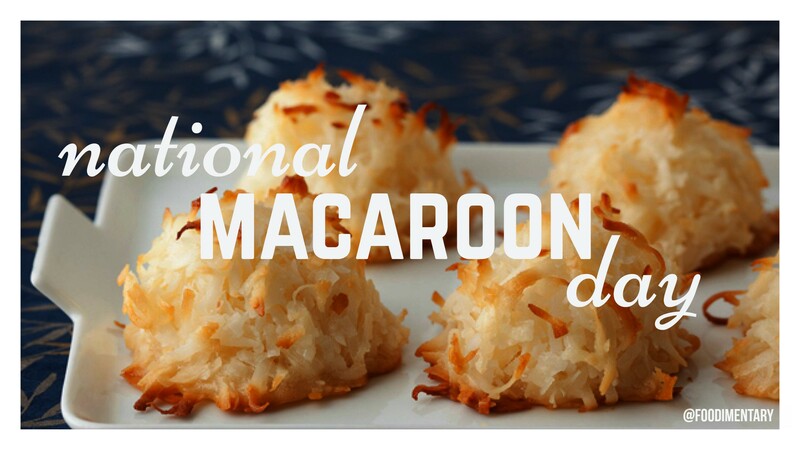 Coconut macaroons are often dipped in chocolate, typically milk chocolate. This word is itself derived from ammaccare, meaning crush or beat, in reference to the almond paste which is the principal ingredient. Most recipes call for egg whites (usually whipped to stiff peaks), with ground or powdered seeds, generally almonds or nuts. Alternatively, coconuts, a seed, can be used. 1805 Adolphe Duglere was born. A pupil of Careme, head chef of the Rothschild family, and head chef of the famous 19th century Paris restaurant, the Cafe Anglais. 1841 R.I.P. Nicolas Francois Appert. Inventor of the canning process, preserving food by sealing it in sterilized containers. He published the results of 14 years of research in 1810 & received 12,000 franc award from French government. 1944 Michael Clark of the music group ‘Flying Burrito Brothers’ was born. 1970 R.I.P. Emmett J. Culligan. He was the founder of the water treatment company that carries his name. (“Hey, Culligan man!”). 1970 Ray Davies of the Kinks traveled round trip from New York to London to change 2 words in the song ‘Lola,’ (Coca-Cola to Cherry Cola) because of a BBC ban on commercial references.